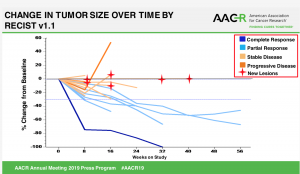 Interim analysis of an ongoing, single-arm Phase II clinical trial of the PARP inhibitor rucaparib (Rubraca) presented at the AACR Annual Meeting this week in Atlanta, GA, provided encouraging results for a subset of advanced pancreatic cancer patients. The trial, which enrolls patients with advanced BRCA-or PALB2-mutated pancreatic cancer sensitive to platinum-based chemotherapy, shows that rucaparib was well tolerated and provided clinical responses among patients. Approximately 6–8% of patients with pancreatic cancer harbor pathogenic mutations in the genes BRCA or PALB2, noted Reiss Binder. Mutations in these genes often coincide with susceptibility to platinum-based chemotherapies, she added. 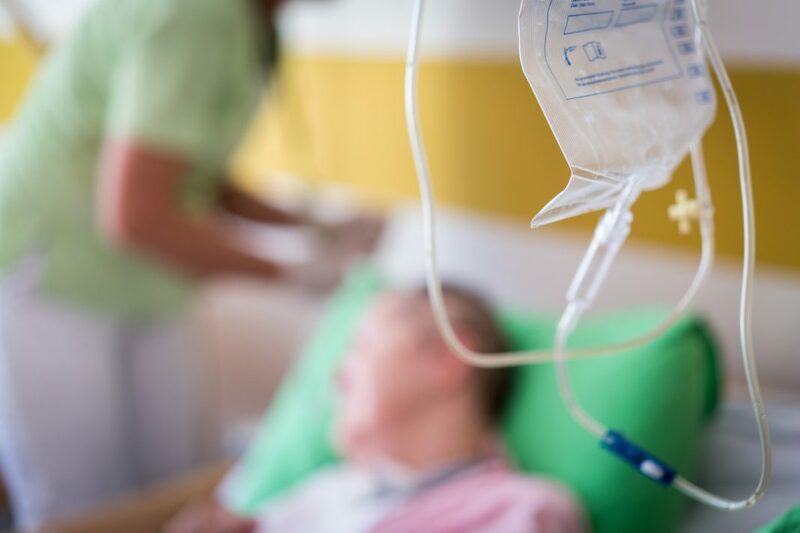 “While this subgroup of pancreatic cancer patients respond well to platinum-based chemotherapy, prolonged treatment leads to cumulative toxicity, so this approach often becomes unsustainable. We wanted to investigate more tolerable maintenance options, as there are no approved treatments in this setting,” Reiss Binder said. The standard of care for advanced pancreatic cancer is indefinite chemotherapy. But, Reiss Binder and her team sought to propose a novel model by asking, what about using chemotherapy as an induction treatment, followed by a lower toxicity maintenance option? This single-arm, Phase II clinical trial is actively enrolling patients with advanced BRCA- or PALB2-mutated pancreatic cancer who have not progressed on prior platinum-based chemotherapy. The patients in the interim analysis had received a median of four months of prior platinum chemotherapy. More than 80% of patients were female. Nineteen of the 24 enrolled patients were evaluable for analysis as of Dec. 31, 2018. The median PFS at time of analysis was 9.1 months following initiation of rucaparib treatment. The ORR was 37%, which included one complete response (CR) and six partial responses (PR).The disease control rate (defined as the sum of PR, CR, and stable disease) was 90% for at least eight weeks. Eight patients remained on rucaparib therapy for at least six months, and two patients have remained on rucaparib therapy for more than one year. Common adverse events related to the treatment included nausea, dysgeusia (a distortion of the sense of taste), and fatigue. Patients are treated with 600 mg of rucaparib twice daily until disease progression or unacceptable toxicity. The study shows that the treatment is extremely well tolerated, has the ability to maintain disease control in some cases in a long term way, and can even result in additional shrinkage of tumors. As this was an unplanned interim analysis of an ongoing, small, single-arm study, the results require substantial further validation, noted Reiss Binder. This study is sponsored by the Abramson Cancer Center and is funded by Clovis Oncology.